In this post we’re going to have a look at how to create a simple Markdown powered blog with Go(lang) and gin. The blog will be able to look up a markdown file by title / filename, display a list of all blog posts, display a single blog post and give the user an error page when a link can not be found. I recently wrote a couple of lines of Go again, mainly to see if I could write a cross platform clone of a two line shell script in Go (which actually makes it like 69 lines, but whatever). I’m trying Visual Studio Code at the moment and it’s a fun and fast atom alternative. One of my early annoyances was that I could not figure out how to make my MarkDown files wrap at the desired column width. I’m currently tasked with the revision of some lecture material for basic HTML, CSS and PHP studies, so I thought I should give gitbook a try. 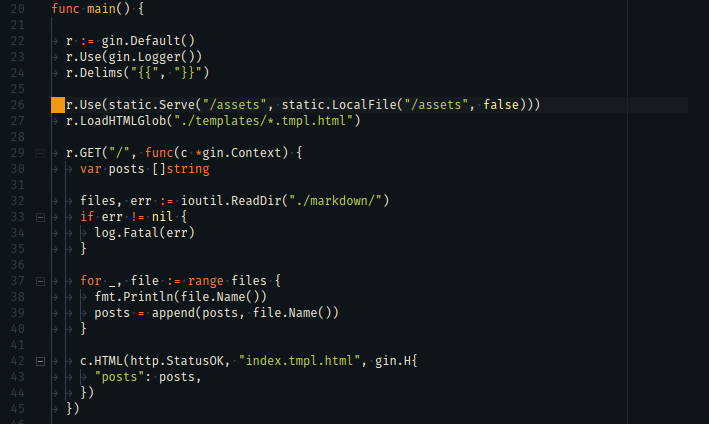 I’ve tried out Github’s Atom Editor shortly and I must say, they’ve come up with a pretty cool thing. If you want to try it out, drop a comment, got 3 invites. At the moment only for Mac OS. 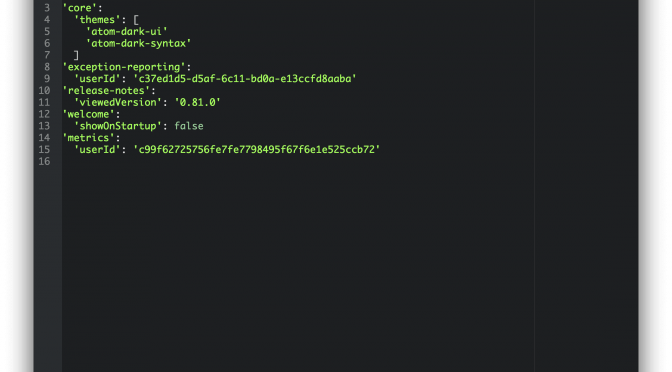 Poet is a great little node.js based project that allows you to start a blog in no time. 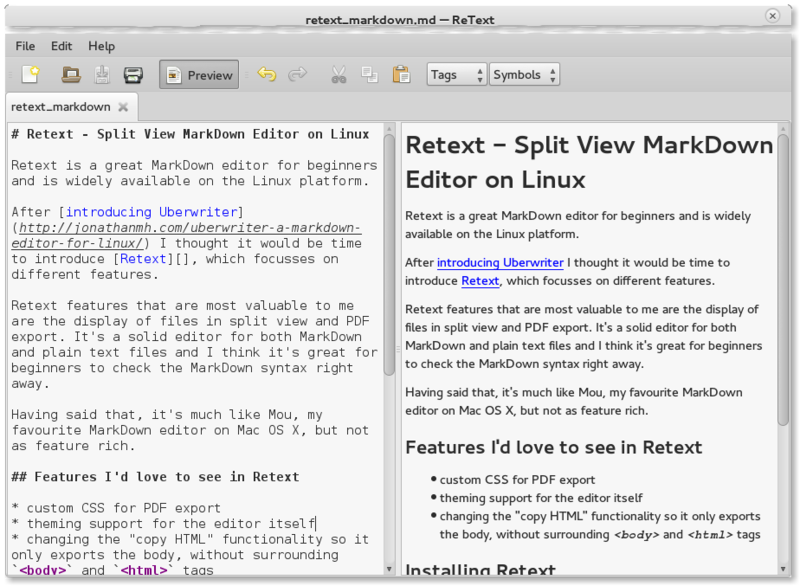 Retext is a great MarkDown editor for beginners and is widely available on the Linux platform. After introducing Uberwriter I thought it would be time to introduce Retext, which focuses on different features. Retext features that are most valuable to me are the display of files in split view and PDF export. 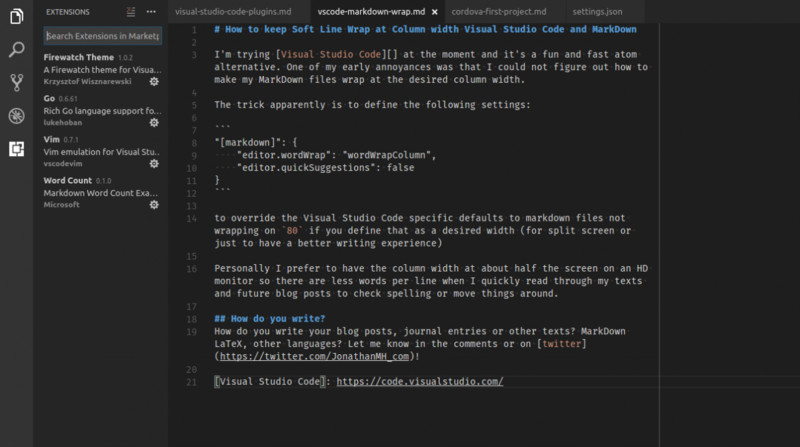 It’s a solid editor for both MarkDown and plain text files and I think it’s great for beginners to check the MarkDown syntax right away. 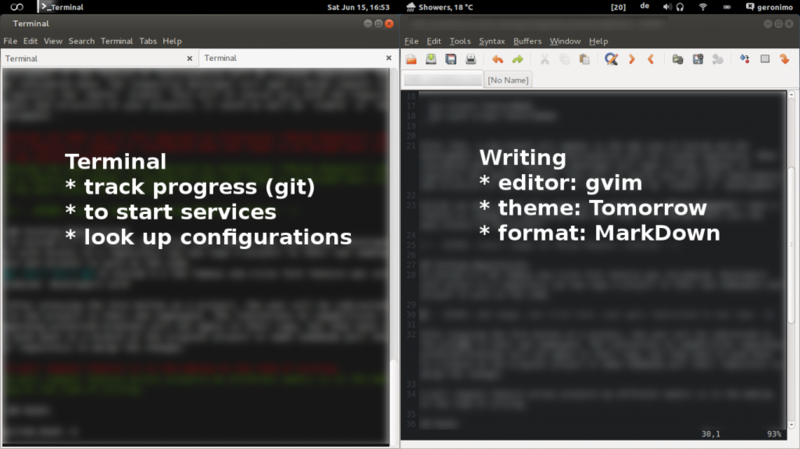 Having said that, it’s much like Mou, my favourite MarkDown editor on Mac OS X, but not as feature rich.